We strongly regard, our materials as the back bone of our success. 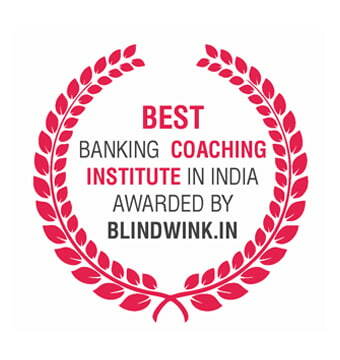 We provide 9 books for Banking course enrollments and 19 Books for SSC course enrollments. 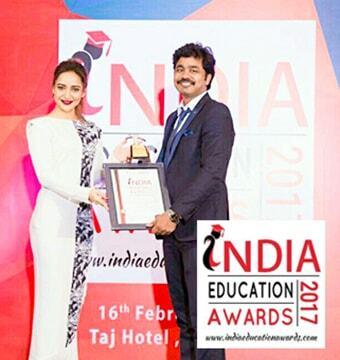 We also have Research and Development teams for different disciplines who upgrade the quality and update our material on a continuous basis to meet with changing patterns and increasing levels of difficulty in the competitive examinations. Gives an overview of Basic Maths concepts. This Mathematics Book contains basic Arithmetic concepts (Addition, Subtraction, Multiplication, division & algebra), that we have studied at Schools. With more than 940 practice Questions, anyone can refresh their knowledge or regain their computing speed and comfort. 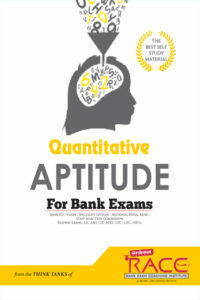 Quantitative Aptitude Book covers most of the topics that are tested in Bank Exams. This Book explains concepts in a concise manner and includes numerous examples and worked-out problems. The text Book also explains short-cut methods, which provides unique time-saving and easy techniques for complex calculations. With illustrative problems for each type and an average of 115 practice questions per topic, this book covers all Clerical, Probationary and Specialist officer Level questions with detailed solutions. 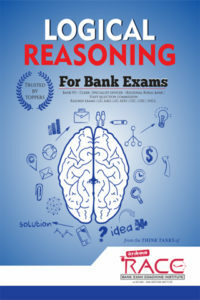 This material comprises important meticulously prepared to the error free questions that are asked in various bank exams in the last 10 years. Apart from the Quantitative aptitude Book, students will get this special book to practice topics wise questions. This Book contains approximately 2600 questions in all the sections, with no answers provided, so that students will get good motivation to practice with interact support of our staff members regarding doubt clarifications. This special Book contains 7 different types of data interpretation questions. More than 1000 in number with brief solutions. 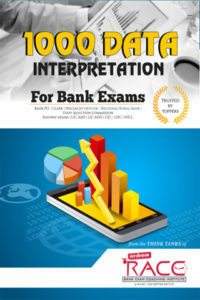 Generally, 15 to 20 Questions are asked in Aptitude are from Data Interpretation section and this book is very useful for both BANK PO/CLERK and TANCET MBA exams. 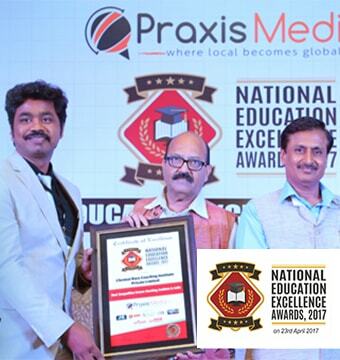 Spotting errors in English for competitive examination identifies possible areas where people commit mistakes and formulates them into rules. 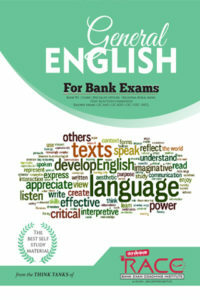 This book focuses on more than 80 rules which are crucial to spot errors in any English sentence. 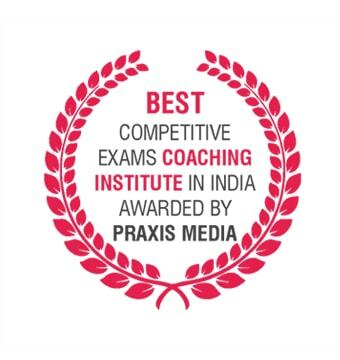 It covers essential English topics common for any competitive exams. Each chapter provides a detailed theoretical basis with suitable examples which helps the students to understand and handle the relevant questions in the exams well. Enriched with over 1500 Questions covering all the topics prepared by experts students find this book suitable for all competitive examinations. On an average, 6 out of 10 students face hurdles in clearing the English Section. 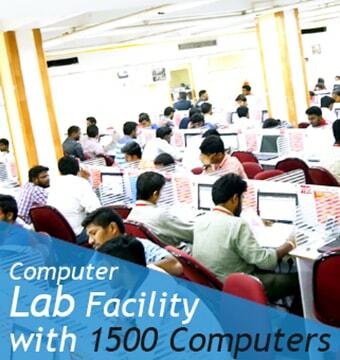 This book has been compiled keeping this situation in mind with a lot of efforts put in by our R and D team. This book covers all the sections of Logical reasoning topics. The exercise given under each chapter of the book covers the entire gamut of questions asked in the competitive examinations. This book also contains 1120 examples and exercise problems with solutions. It also covers all the shortcut tricks. 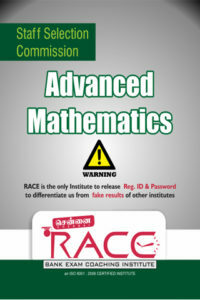 The book is useful for aspirants of various entrance exams, including bank test, MBA entrance exams. 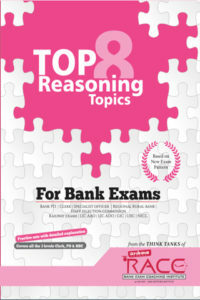 This special Book is the collection of questions on 8 important topics of Logical Reasoning section. Students practicing this book can solve any type of reasoning questions in any competitive examination. This book compilation of questions asked in various bank exams during the last fifteen years. It contains 2000 practice set questions with answers. 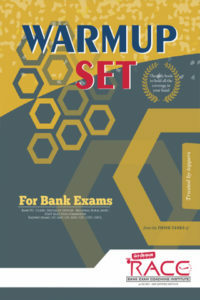 This Book is very useful for Bank Exams and specialist officer (IT) exams. 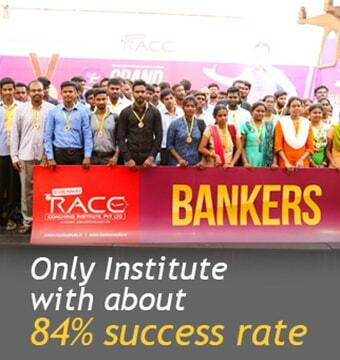 One of the best creation of our R & D Banking Awareness Team. 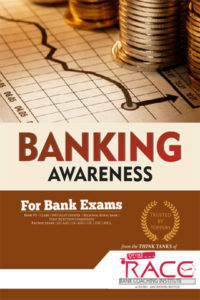 This book compiles all the important Banking sections and covers each and every corners of the Banking Sector. The content of the Book is phrased using simple English to deliver concepts clearly. The Questions which are available in this book are technically strong; that can be asked in any competitive exams. This book contains Geometry, Trigonometry and Algebra. Basic concepts and formulas of this sections are discussed in a way that novice can easily understand. Also the practice problems are provided with explanations so that everyone can approach the problems without any confusions. The importance of this section in SSC CGL Tier 1 is 10-14 questions. The compilation of details in tabulation form will be more helpful for the students for remembering and understanding. 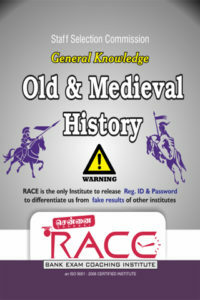 This book cover every topics which is useful for all competitive exams. The Importance of this section in SSC CGL Tier 1 is 2-3 questions. This book comprises of subject from its historical background for the understanding of students from the core and to make each and everything cut and clear. The concepts and information provided in this book is more than enough for any competitive exams. The Importance of this section in SSC CGL Tier 1 is 2-3 questions. Indian and World geography are discussed in this book. This book deals with facts about the atmospheric concepts of Earth and some important static information. The questions at the latter part of the book will be useful to students for practice. The Importance of this section in SSC CGL Tier 1 is 2-4 questions. 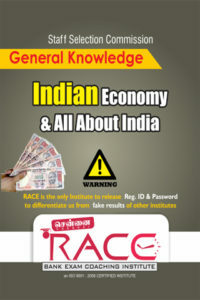 This book discusses about the Economic terminologies and all about the Indian Economy. Important concepts are given in precise way for understanding. Also this book comprises of static information which is most useful for all competitive exams. The Importance of this section in SSC CGL Tier 1 is 1-2 questions. 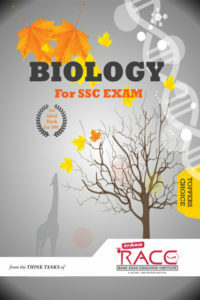 Biology books covers the every concepts of human and plant physiology. The topics are given as brief notes with diagrams for easier understanding. The Multiple Choice Questions given are based on the pattern of previous year questions. The Importance of this section in SSC CGL Tier 1 is 2-3 questions. List of Materials are not over yet..! 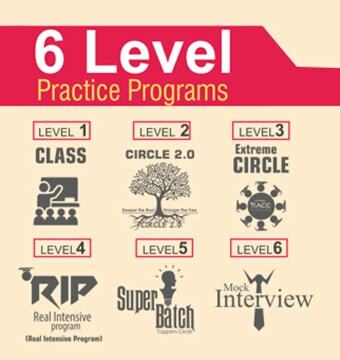 We also provide more than 500 handouts on different topics at regular interval. National park, Wild life sanctuary, Power plants, Rivers and Dams, State & Dance, Important days, Superlatives in India (Largest, Longest, Largest & highest), country – Capital – Currency, CM & Governors, President & PM, Persons & visits, Awards, Obituaries, Important Airports in India. Apart from the list mentioned above, students will receive most of the handout materials while attending practice programs. 200 Materials (Toughest Questions for Potential students), 30 Online Exams and special sessions and guidance.